Olwen Cameron studied at the Royal Academy of Music, followed by a post-graduate year at London University Institute of Education. She taught music at schools in East London and then in Bishop's Stortford, Hertfordshire, where she lived for twenty five years. In Bishop's Stortford, Olwen had a large piano teaching practice, combining this with work as Musical Director of New Edition (a musical theatre company in Harlow, Essex) from 1993-1999 and then Director of Music at St Michael's Church, Bishop's Stortford for five years. 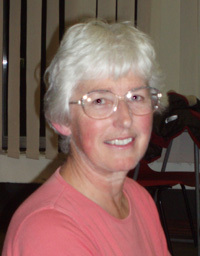 Olwen moved to Guisborough in 2006 where she continues to teach privately (piano/music theory/aural/singing lessons). Contact her. She accompanied Opera Nova during their 2007 concert series.